Our Charred Pineapple Relish is bursting with a sweet and spicy blend of ingredients. Featuring sweet pineapple, mango, jalapeños, and red bell pepper, you're sure to make this grilled pineapple relish a flavorful accompaniment to any number of dishes. 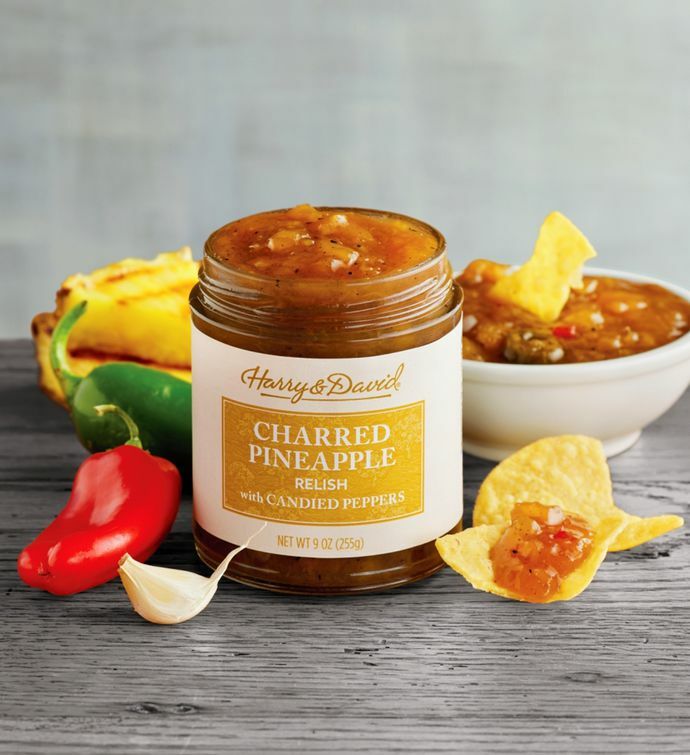 Use this tasty gourmet sauce to liven up something as simple as tortilla chips, or set it out as a gourmet condiment for appetizers.